The black-and-white ruffed lemur of Madagascar is endangered due to hunting and to habitat loss. Most primates live in regions with high levels of human poverty and inequality, which contributes to the decline of the animals, says Thomas Gillespie, an Emory expert in the disease ecology of primates. Urgent action is needed to protect the world’s dwindling primate populations, warns a group of 31 leading experts on primate conservation in Science Advances. Sixty percent of the more than 500 primate species worldwide are threatened with extinction, while more than 75 percent have declining populations, the landmark article reports. The authors include scientists and policymakers from the United States, Europe, Asia, Latin America and Africa. 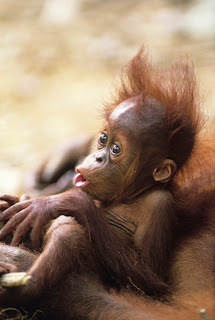 “The majority of primate species are endangered now. 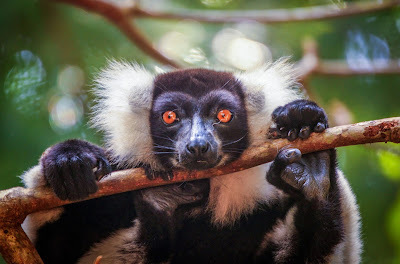 We are at a turning point where we must take action or lose many species during the next 50 years,” says co-author Thomas Gillespie, an associate professor in Emory University’s Department of Environmental Sciences and an expert in the disease ecology of primates. The order primates – ranging from the tiny mouse lemurs of Madagascar to the massive mountain gorillas of Central Africa – is the third most diverse order of mammals, after rodents and bats. Primate species serve as seed dispersers, pollinators, predators and prey to keep ecosystems in balance. For instance, other rare animals – such as jaguars, leopards and harpy eagles – include monkeys in their diets. Primates are so prevalent in zoos and in media imagery, many people are lulled into a false sense of security and do not realize how scarce they are becoming, Gillespie says. The Science Advances article details how escalating human activities are putting unsustainable pressures on primates and their habitats, including extensive forest loss due to the expansion of industrial agriculture and large-scale catting ranching, logging, oil and gas drilling, mining, dam building and the construction of road networks for resource extraction. A young chimpanzee in Gombe Stream National Park, where human misuse of antibiotics is putting the animals at risk for antibiotic-resistant bacterial infections. "If you help a local human population become healthier, you also reduce the potential for infectious disease in the surrounding wildlife," Gillespie says. Disease is the main threat to the survival of the endangered chimpanzees of Tanzania’s Gombe Stream National Park, made famous by the work of primatologist Jane Goodall, who began observing them during the 1960s. 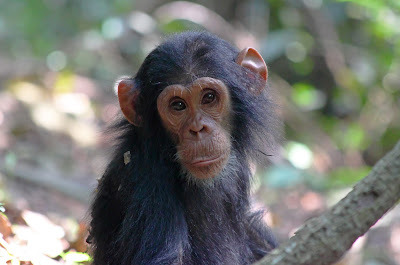 Work by Gillespie and his colleagues has found that human misuse of antibiotics is putting the Gombe chimpanzees at risk for antibiotic-resistant bacterial infections. The Gillespie lab is one of the few investigating the ecology and epidemiology of infectious disease in natural systems where domesticated animals, humans and wildlife overlap. Among the pathogens threatening both humans and non-human primates are the malaria species Plasmodium knowlesi, which can cause disease in pigtail macaques in Southeast Asia; Ebola, which affects chimpanzees and gorillas in Africa; and yellow fever, which strikes brown howler monkeys in South America. Most primates live in regions with high levels of human poverty and inequality, and the co-authors stress the need to improve human health and access to education, while also preserving traditional livelihoods that can contribute to food security and environmental conservation. “If you help a local human population become healthier, you also reduce the potential for infectious disease in the surrounding wildlife,” Gillespie says. The authors are calling on governmental officials, scientists, non-governmental organizations, businesses and individual citizens to mobilize and raise awareness of the plight of the world’s primates. “If humans continue to alter and degrade habitats such that they are unsuitable for our primate relatives, then these habitats will eventually become unsuitable for ourselves,” they conclude.